NEW YORK (Reuters) - Oil fell for a fifth straight day on Friday, losing 10 percent on the week, and Goldman Sachs said more losses were needed to force producers to cut supplies adequately to balance the glut and bleak demand outlook in the market. Futures of global oil benchmark Brent and U.S. West Texas Intermediate (WTI) crude seesawed through the day, settling slightly lower after stock prices on Wall Street gave up their earlier strength. The two benchmarks hit 12-year lows earlier in the week after China's stock market crash roiled global markets. Since the selloff in oil began 18 months ago, traders and investors have wondered how long and deep the slide would go as prices fell from above $100 a barrel to below $40, and looked poised to break below $30 next. Goldman, which has said oil could hit $20, said in a note on Friday the market needs to see sustained low prices through the first quarter "so producers will move budgets down to reflect $40 a barrel oil for 2016." The note, based on interactions between oil producing companies and investors at a Goldman conference in Miami this week, concluded that producers were not ready to slash output at current prices. "Instead, producers spoke largely of their agility to spend within cash flow and ... ramp up when needed," the Wall Street bank said. "This hurt sentiment as investors came away concerned that companies were not being responsive enough." The glut has persisted despite a drop in U.S. oil drilling rigs last year - the first annual cut since 2002 and the biggest decline since at least 1988, according to Baker Hughes. In the first week of 2016, however, energy firms stepped up the rate of idling rigs and the U.S. oil rig count dropped to a five-year low. Brent (LCOc1) settled 20 cents lower at $33.55 a barrel. It hit a session low of $32.78, after sliding on Thursday to $32.16, the lowest since April 2004. For the week, Brent fell 10 percent, just behind the 11 percent drop in the opening week of 2015, which was a record loss for oil in the first full trading week of any year. WTI (CLc1) ended 11 cents lower at $33.16. It fell to $32.64 earlier in the day, after falling to $32.10 on Thursday, its lowest since December 2013. "The sentiment is still extremely negative and short positions are still at excessive levels," Hans van Cleef, senior energy economist at ABN Amro, told the Reuters Global Oil Forum. "That makes it also hard to pinpoint the timing of the expected recovery." ABN Amro cut its 2016 Brent and WTI price forecast to $50 per barrel from its prior view of $65 and $60, respectively. U.S. stock indexes (.SPX) (.DJI) bounced in and out of positive territory in choppy trading. "In my view, crude is still just a number on screen with little implications for most of the people and computers that are actively trading," said Scott Shelton, energy broker and commodities specialist at ICAP in Durham, North Carolina. "It will keep going down until the equity world stops selling off." The options market indicates concerns oil prices can fall further. Some investors are acquiring put options giving them the right to sell at $25 a barrel, anticipating that Brent will fall below that, and the costs of those options are soaring. Over the past year, the world has been producing 1.5 million barrels per day more oil than it consumes. 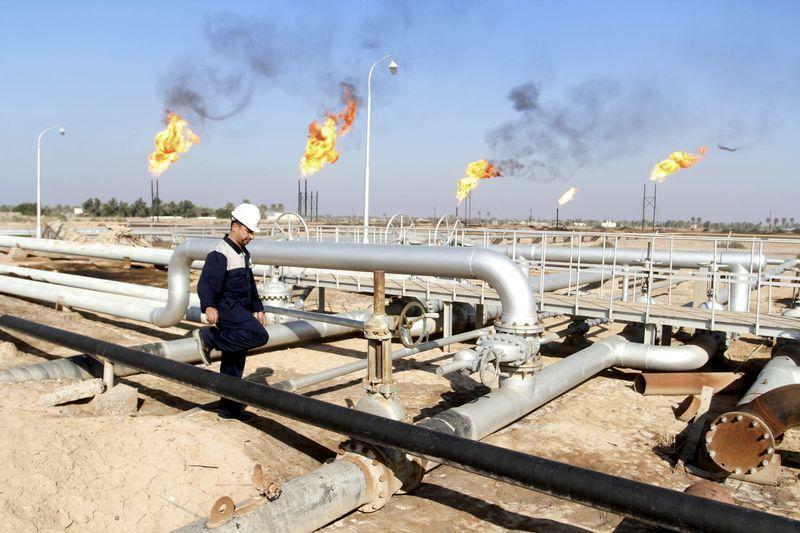 The Organization of the Petroleum Exporting Countries and the International Energy Agency expect global demand growth to slow in 2016 to around 1.20-1.25 million bpd from a very high 1.8 million bpd in 2015.